SR EasyAuthoring™ is an innovative, integrated blog authoring tool designed for small businesses to help them easily offer original and “curated” content in the single blog platform they already have on their websites. Fresh web content in the form of a business blog can be critical for both search engine optimization and for staying engaged with prospects and clients. But creating original content that resonates with its intended audience on a regular basis can be a full time job, and one that not every business can afford. With EasyAuthoring™ installed on its website, a business can easily supplement its blog’s original content with much less expensive curated content, which still supports its SEO efforts. SR EasyAuthoring is easy. Supplement original content posts with much less expensive, less time-consuming curated content. SR EasyAuthoring looks great. A visually appealing blog draws readers to your site and keeps them there longer. 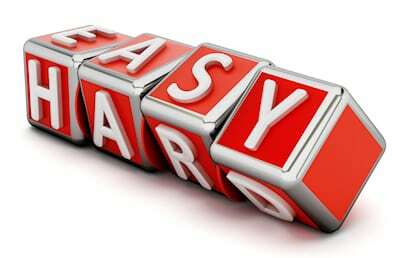 SR EasyAuthoring is affordable. Unlike comparable solutions that can cost anywhere from $1,000-$6,000 per month, SR EasyAuthoring is available from Sales Renewal for only $130 per month. SR EasyAuthoring is provided free for all Sales Renewal JointSourcing clients, but is available as a stand-alone service for any business. Contact us to see how to set up SR EasyAuthoring on your website today. Read Original Article: The basic “News” post allows authors to share their insights and commentary on content first published elsewhere. When the reader clicks the button, they are taken to the original article on its publisher’s website, and because the article is not on the business’ site, there is no possible “duplicate content” penalty from search engines. 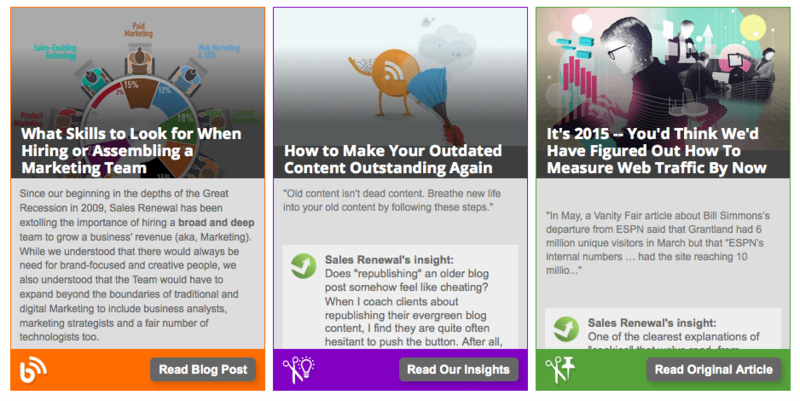 Read Our Insights: The Insights post allows the business to share deeper, longer insights on content first published elsewhere. When the reader clicks the button, they are taken to a blog post on this website that has an excerpt from the original article, the author’s insight and a link to the original article on its publisher’s website. This type of post has enough original commentary to be considered original content by search engines, and since the page is on the business’ site, it will be indexed by search engines like all the other pages on the site. Read Blog Post: The Blog post acts like a normal blog: when you click the button you’re taken to a blog post on this site. Again, this original content will be indexed by search engines like all the other pages on your site. And the single biggest advantage to content curation: It is a lot easier to comment on other people’s ideas than it is to come up with your own, and then craft those ideas into well-written blog posts.